Home Community All Hands on Deck! The Talmud says “Lo Midrash Ikur Ele haMaaseh, the learning is not the primary part of the Torah, but fulfilling the Mitzvot, doing” (Avot 1:17). We must not just learn Torah in a simply academic sense, but be committed to upholding the Torah and Mitzvot. One of the best ways to communicate this sentiment to our children is by providing hands-on, experiential experiences through which they can learn and do. An experiential learning opportunity allows children to explore a topic from multiple angles, learning through multiple senses and through uncovering the wisdom themselves. This method has become increasingly popular in the world of education and is an excellent way to impart a Torah lifestyle to our youth. Aside from the pedagogical benefits, experiential education is a blast, providing intrinsic motivation and positive association with learning. These goals, a fun and interactive learning experience, is what we provide with the YU Torah Mitzion Kollel’s Vishinantem program as a whole, and particularly the Thanksgiving morning programming. Vishinantem is a five-part parent/child learning series. The first program is on Thanksgiving morning, and the other four on Motzei Shabatot during the winter. Each session, we explore a topic in Torah with a hands-on learning experience. Parents and children take to the Limud, exploring a topic with guiding source packets. After they make their way through the learning, the kids (and adults) head over to the activity. This year, the Thanksgiving program came a week and a half before Chanukah. We took this opportunity to examine one of the central themes of Chanukah: olive oil. Oil is praised by the Torah as the primary use of olives, one of the Shivat haMinim, and is the one most clearly specified as such in the Torah (Devarim 8:8). While olive oil’s relationship to Chanukah is obvious, there are several Mitzvot that utilize olive oil. We learned about the process of a Korban Mincha (a flour offering), which is kneaded with oil; the Shemen haMishcha, the anointing oil used to inaugurate a Kohen Gadol, the vessels used in the Beit haMikdash, as well as other areas of Jewish life; and, most clearly related to Chanukah, we learned about the Menorah, which requires a special quality of oil. We then saw a Mishna in Menachot which outlines the various levels of oil quality derived from olives. After the learning, the kids ran over to the olive oil making station. Ten pounds of fresh olives were crushed up and squeezed by the kids, parents, and Kollel Rabbis to get the Mochel, essentially olive juice, out of the fruit. This mixture is collected and left to sit, where the juice and oil separate, leaving us with Shemen Zayit Zach, pure olive oil. By Chanukah, we should have freshly pressed olive oil! 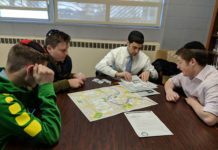 This activity gave a perspective of the process the students have learned about just minutes before, and also brought an area of Torah to life. After Vishinantem, the Kollel and community members traveled to the Chicago Chesed Fund to volunteer some time helping to organize their warehouse. 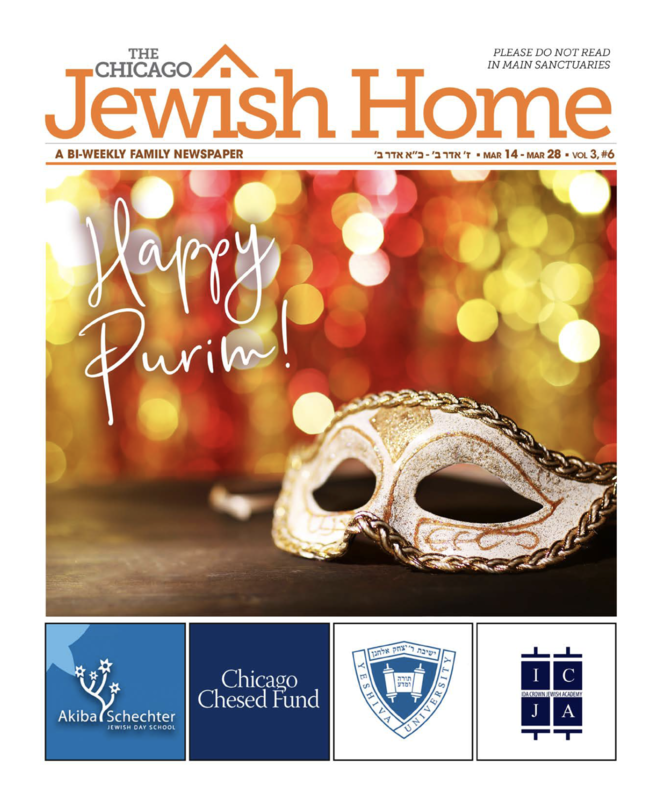 A massive operation, the Chesed Fund provides at cost needs for families with limited means throughout the Chicago Jewish community. Helping hundreds in a dignified manner requires a tremendous amount of legwork, which the community was excited to participate in. Whether it was shelving food, organizing clothing, or stocking other areas of the warehouse, families were happy to be involved in this amazing Chesed program. A major consideration of the Chesed Fund aspect of the programming is to provide another form of experiential education. Chesed is a fundamental aspect of Jewish life, one that is crucial for our Torah learning and observance of Mitzvot being complete. 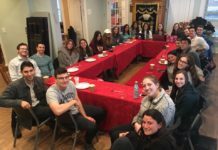 While there are many forms of Chesed one can do in the community, including Tzedukah opportunities, systems of Bikur Cholim and other communal needs, volunteering the Chesed Fund is an up close and personal way to be involved in helping the community. We can teach kids about Chesed, and we can even demonstrate to them our desire to give; however, the best way to instill this quality is to bring them and involve them in giving. Many a conversation occurred quite naturally between parents and children, explaining where the goods being arranged come from, as well as where they are going. The need to give and provide to our fellow community members was made quite real to the kids involved, and perhaps the adults as well. The entire process at the Chesed Fund is done in a completely M’Chubad way, one that protects the dignity of those utilizing the services. At no point are clients and volunteers on site simultaneously, allowing for complete anonymity to all involved, the best way to provide Chesed (Rambam Matnot Aniyim 10:7). There are many learning opportunities on Thanksgiving morning throughout the community. The YU Torah Mitzion Kollel’s program seeks not just to utilize the time to learn, but also to do. 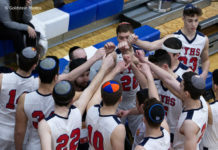 Whether that is bringing the Torah to life through experiential learning, or making Chesed real by taking an active role in providing for those in need, the programming is an excellent way to impart integral Torah values to our children. Families walked away with more knowledge, more appreciation, and more hands-on experience which they can take with them to apply in other ways in their lives. The next Vishinantem programs will be on 12/15, 1/5 and 1/12. The program takes place at Kehilat Chovevei Tzion, at 6:15, and is for boys and girls grades K-5. Pizza will be served!